As the name would imply, the world of American special operations forces (SOF) has been filled with extraordinary men, who have built legendary reputations upon deeds that border on the supernatural. Therefore, it is no small thing to describe Maj. Gen. John K. “Jack” Singlaub, USA (Ret. ), as one of America’s most distinguished SOF officers of all time. Commissioned out of the UCLA ROTC program in 1943, Jack Singlaub was a young lieutenant in the 515th Parachute Infantry Regiment when he answered a call for volunteers to join the new Office of Strategic Services (OSS). This was the beginning of a 35-year career that would be largely spent in the SOF world. 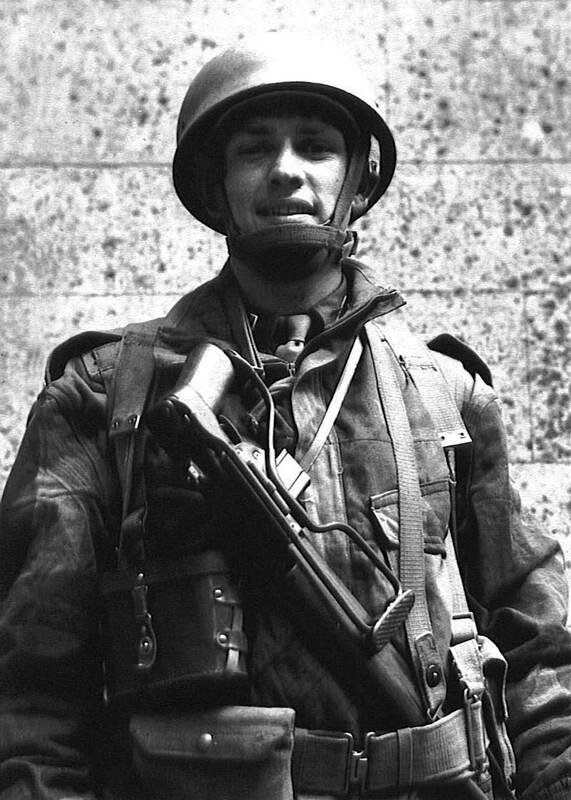 As a 2nd lieutenant, Singlaub successfully operated as a member of a three-man Jedburgh unit, known as “Team James.” In August 1944, they parachuted into the Massif Central region of France to conduct guerilla warfare and sabotage missions with the French Resistance in support of the Allied liberation of France. The following year, Singlaub, now a captain, was instrumental in the liberation of hundreds of Allied POWs on Hainan Island following Japan’s surrender. Over the years Singlaub saw action in the Chinese Civil War, the Korean and Vietnam Wars, and served in a wide variety of posts both in the field and, later, in senior staff positions. In Vietnam, he commanded the famous Studies and Observations Group (SOG) and was instrumental in organizing Operation Bright Light, the effort to rescue captured American POWs. In addition, Singlaub attended, and later taught at, the Command and General Staff College at Fort Leavenworth, Kan., and also attended the Air War College. Singlaub eventually rose to the rank of major general and Chief of Staff, United Nations Command, U.S. Forces Korea, 8th U.S. Army. Never a man to mince words or fail to speak his thoughts clearly, Singlaub requested early retirement in 1978 as the result of a policy dispute with President Jimmy Carter over the status of U.S. forces in South Korea. His incredible career is recounted in his autobiography, Hazardous Duty, written with Malcolm McConnell. Singlaub was kind enough to spend some time with The Year in Special Operations to look back on his career, especially those early days in the OSS, and his missions to France and China. The Year in Special Operations: Gen. Singlaub, thank you for taking time for this interview. I’d like to begin with your account of how you volunteered for the OSS. Maj. Gen. John K. Singlaub: The OSS was granted authority as a result of the presidential directive to Gen. William Donovan that he would form the Office of Strategic Services. That directive instructed all military organizations to cooperate with the recruiting efforts. When they started looking for people for the Jedburgh program, the recruiters first went to the parachute regiments that were already in being. The recruiter came to the commander of the 515th Parachute Infantry Regiment, where I was serving as a second lieutenant. I was a platoon leader and in addition to that I was the regimental demolition officer because I had taken the demolition course while I was waiting for a broken leg to heal. I had broken my leg on one of my early jumps. The recruiter, I was later told because I was on TDY [temporary duty] at the time, spoke to the assembled group of people that he had selected by examining the Form 66, which was the officers’ service record, and in that form is an entry for the languages that you have been trained in. In this case, they were looking for French. The recruiter had a statement that he read to the group that was essentially: You have qualifications that the Office of Strategic Services is interested in. I am anxious to know if any of you would like to volunteer for hazardous duty behind enemy lines and if so, remain seated. If you’re not interested, you’re excused at this time. I was told that very few stayed. When I came back from my TDY up at Camp McCall [N.C.], we were up on a team thing, the combat proficiency tests to the infantry battalions of the 11th Airborne Division that was stationed there. When I came back, the adjutant read to me the statement that had been read by the OSS recruiting officer; he said that he was required to provide them with an answer, and he asked what my answer was. I said, “I volunteer to go.” That was essentially it. When I asked what was the OSS, the adjutant told me that all he knew was that Gen. Donovan was the commander of it. Now, I didn’t know much about Gen. Donovan. But, he was well-known as “Wild Bill” Donovan. A movie had been made dealing with the Irish Regiment – The Fighting 69th – he was a battalion commander in the 69th Infantry. It was a couple of weeks later when I received orders, which directed me to proceed to Washington, D.C. The regiment was very helpful in letting me clear out and gave me the necessary travel orders to take me up to Washington, D.C.
You were at Fort Benning at this time, correct? That is correct, yes. Actually stationed on the Alabama side of the reservation. And that was the side that had some really great drop zones because they had a lot of bottomland that been well-plowed and had a sandy content in the soil. Landing in a peanut patch was a very, very pleasant way of landing. There’s a cliché in the military that one never volunteers for anything. Yet, you did. Why? Well, I think that advice given by old soldiers to new ones was given mostly to draftees and perhaps to a draftee where it made sense. On the other hand, I was a volunteer all the way. I had been in the reserves before the war, beginning in 1938. I had attended the Citizen Military Training Camp. And I was a volunteer for parachute duty, and so I did not consider that to be wise advice anyway. I wanted to be a professional. And that’s what I consider myself to be. On that train ride to Washington, what were your thoughts about the immediate future? I think that one of the most important things was that I had recently traveled up to Dayton, Ohio, on a weekend to visit my sister, Anita, who was in the WAVEs [Women Accepted for Volunteer Emergency Service]. And she introduced me to a very pretty blonde WAVE ensign, Mary Osborne. I had learned since returning to Fort Benning that she had also been transferred to Washington as my sister had. So I was making plans to see this beautiful WAVE. Which I did, and before I left to go on my mission to Europe, we became engaged. We were married when I made my trip from Europe to China in 1945. They gave me 30 days leave in the States en route and that was the time when we got married. Compare the OSS interview process with what you had already experienced in the regular army. Well, I think that the most important thing was that they were more interested in determining my attitude, rather than what qualifications I had as a result of my schooling. They had that information in my personnel file. They asked me questions like, “What makes you think you can qualify for this?” and “Why are you volunteering?” I think this was part of the process … part of the psychological assessment in which you had to sort out the real volunteers from those who had volunteered for this in order to escape a problem they had in their unit with, for instance, the first sergeant or company commander or something. So, I did notice that it was a different kind of thing. And then, as it turns out, psychological assessment was a very important part of the training by the United States and later by the British.